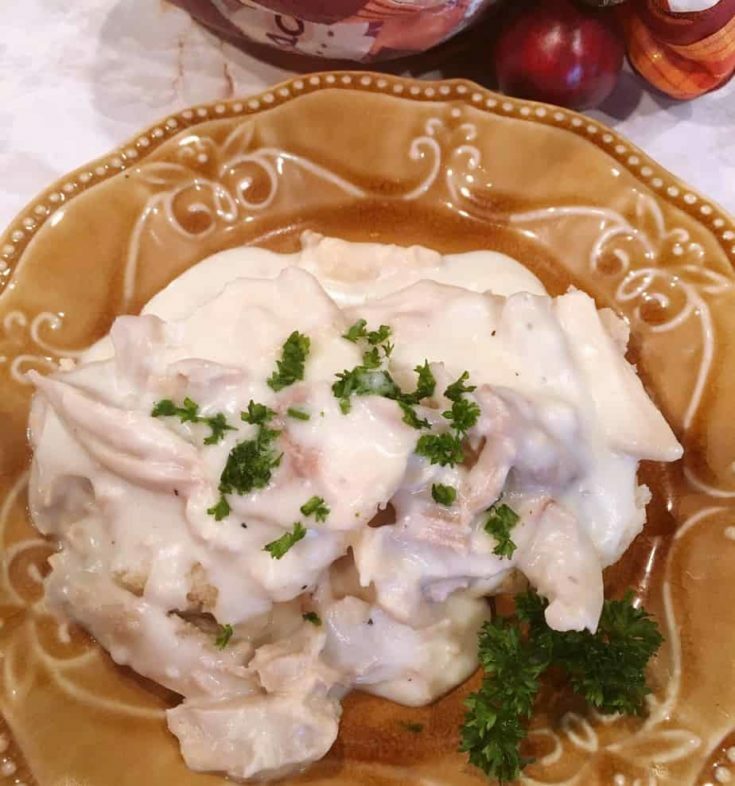 Creamed Turkey ‘n’ Biscuits is a dish that can be made year round substituting chicken for the turkey! A rich savory cream sauce is loaded with bits of tender moist Turkey or Chicken, and served over big fluffy homemade biscuits! It’s pure country comfort food! When I was a young girl, my Dad would whip up Creamed Turkey and Biscuits every year after Thanksgiving. It was a great way to use up all those little bits of Turkey at the bottom of the left over bag! I asked him once where he got the recipe? He told me his Mom used to make. I think this is just one of those old time dishes our ancestors used to stretch a dollar. It was, and still is, one of my very favorite meals! A true comforting dish that wraps itself around you like a big warm hug! Plus there’s just something special about a dish your grandma and great-grandma used to make. It’s simple…not fancy…but it’s simplicity is what makes it such a great dish. Like any great recipe…or story…it starts with a great beginning! 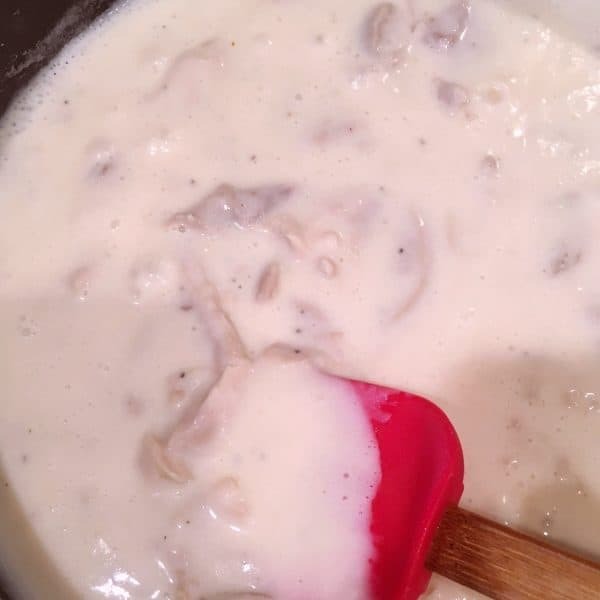 For this dish, it’s the cream sauce! Made from scratch. Cause homemade is always best! 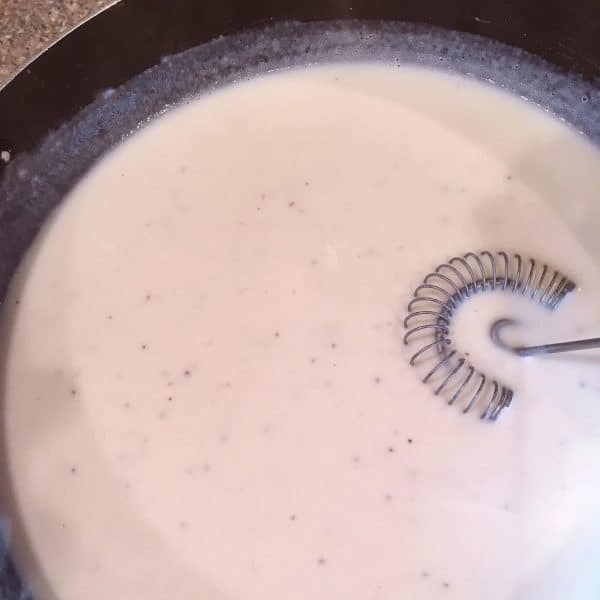 Once you master a really great “roux”, you can make a great cream sauce every time. 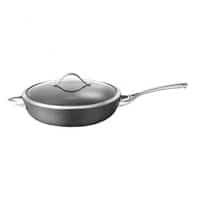 In a large, deep skillet, over medium high heat, melt 1/4 cup butter. Any great recipe has butter! 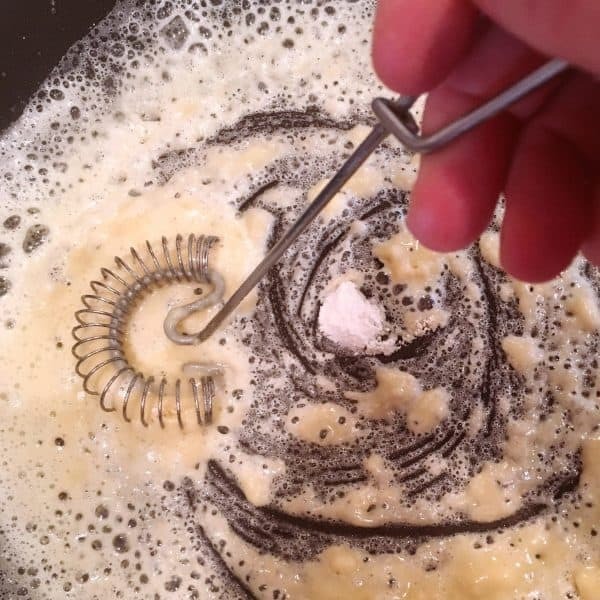 TIP: To create a successful roux you want equal parts butter and flour. 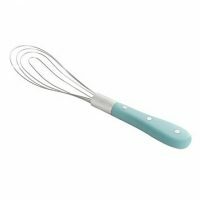 Stir with wire whisk, I love “flat whisks”, until well combined! You have to move quickly…you don’t want it to burn! Add 1/2 teaspoon pepper, and 1/2 teaspoon salt, 1/8 teaspoon sage and thyme. Stir until combined. Continue to stir mixture until mixture comes to a low boil and has thickened to a gravy consistency. 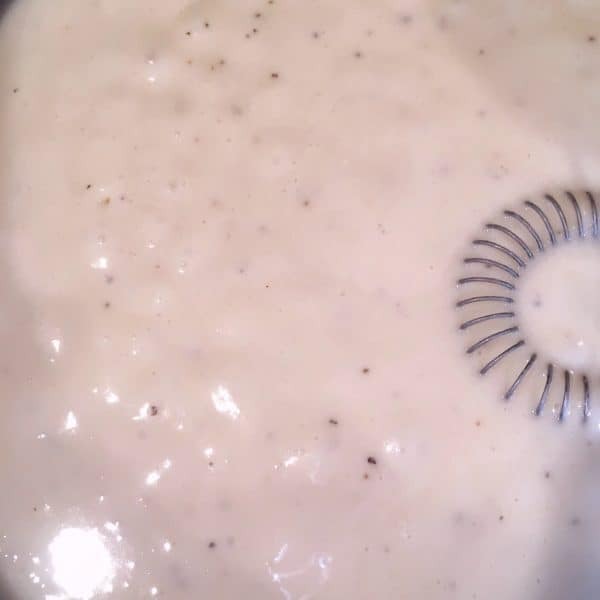 TIP: If cream sauce becomes to thick, add additional chicken broth. Add 2 cups of chunked Turkey or Chicken. Stir until combined. Turn down heat, and allow to simmer until biscuits are ready. That is it for the actual “Creamed Turkey” portion of this dish! 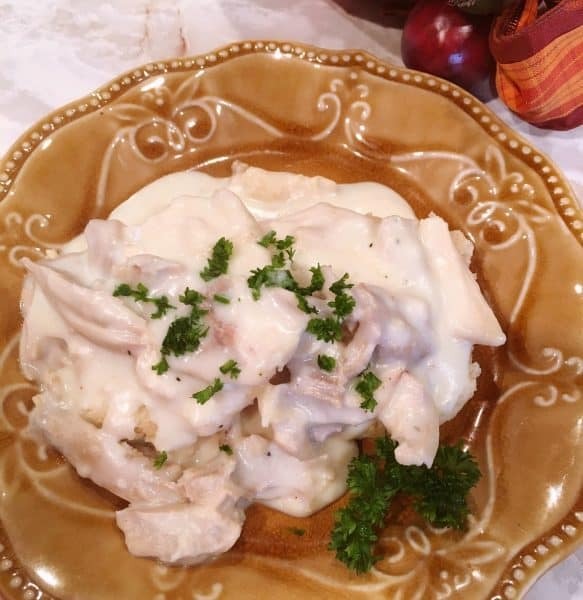 You have a savory, flavor filled cream sauce with tender chunks of chicken or Turkey. 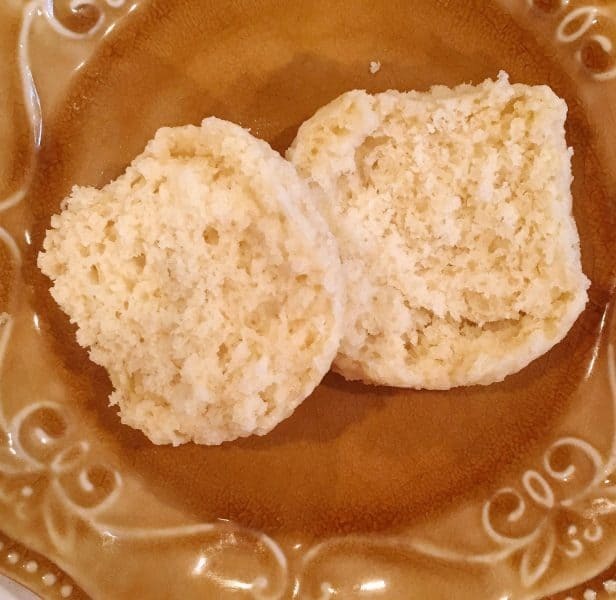 The “second act” of this fantastic old fashioned dish are the homemade biscuits! I love baking powder biscuits! My favorite are the mine! (I know shocking! lol) You can find the recipe HERE, but feel free to use your own. I won’t be offended! I give you the step-by-step directions and they are super easy to make. So even if you’ve never made them…don’t let that scare ya from trying! 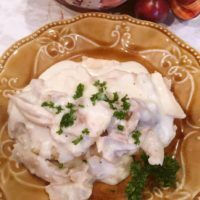 Top with a hearty scoop of warm Creamed Turkey or Chicken. Garnish with chopped parsley…or you can skip this step and just dig in! 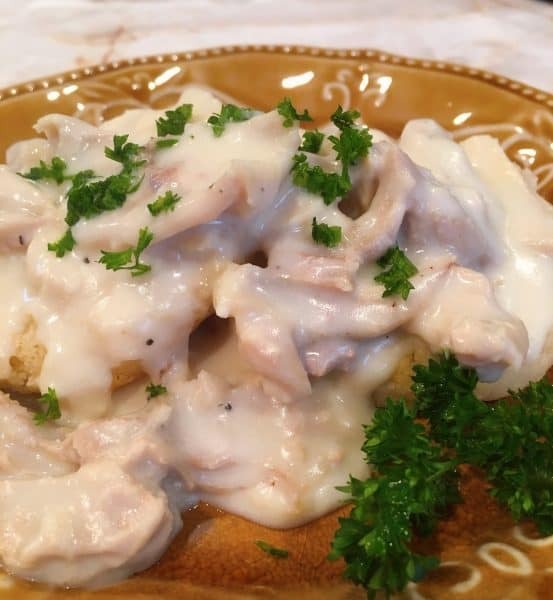 There is nothing better than a forkful of biscuit slathered in Creamed Turkey or Chicken! Yum! 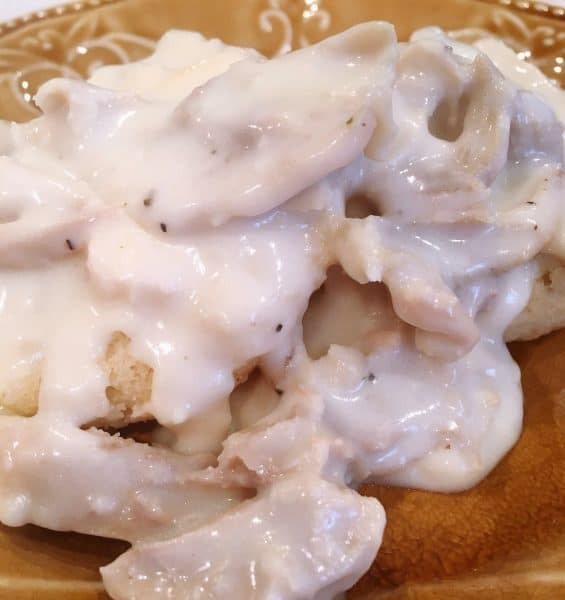 If you think Sausage Gravy and Biscuits are good…hold on to your seat because this is gonna blow ya away! This is a fantastic way to use up leftover Turkey. It’s also a great dish with chicken on a busy week night! I like to serve this dish with a garden salad and steamed vegetables…or just a fork! It all works for me! Thanks so much for stopping by and visiting with me today. 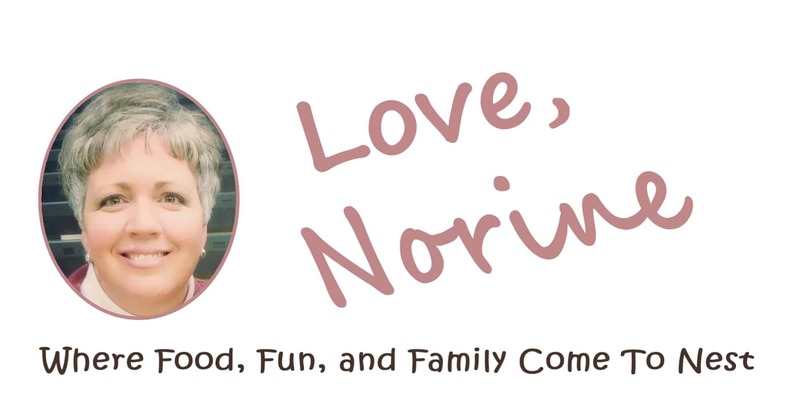 I hope your family enjoys this family favorite. It holds a special place in my heart! 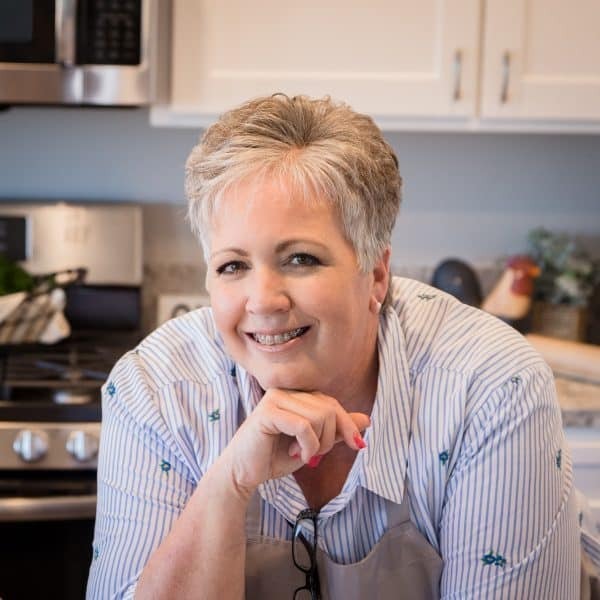 I’m sharing this fantastic dish over on a few of my favorite Link Parties. Click on any of the links below to join the fun! 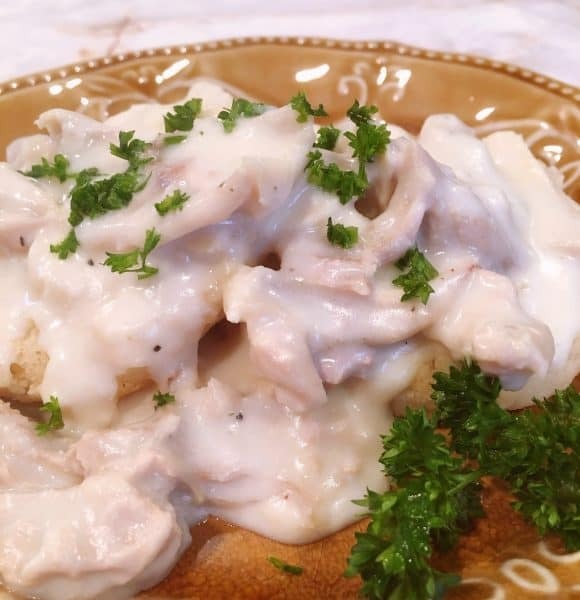 Hearty Savory Homemade Cream Sauce with Tender Chunks of Turkey or Chicken served over fluffy biscuits. 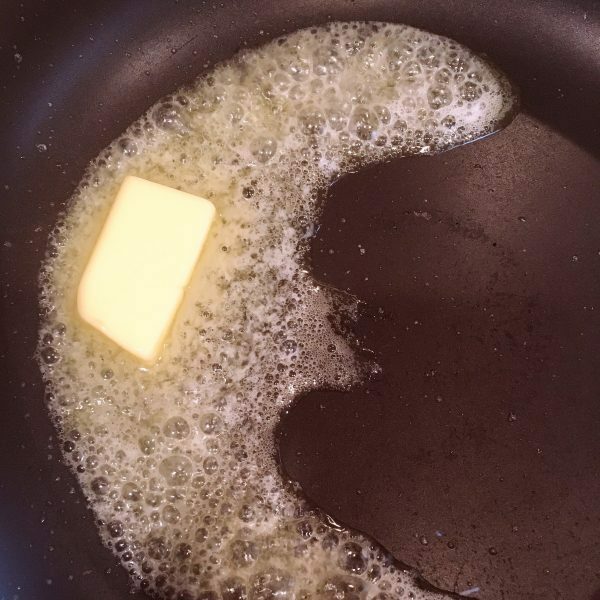 In a large skillet over medium heat, melt 1/4 cup of butter. 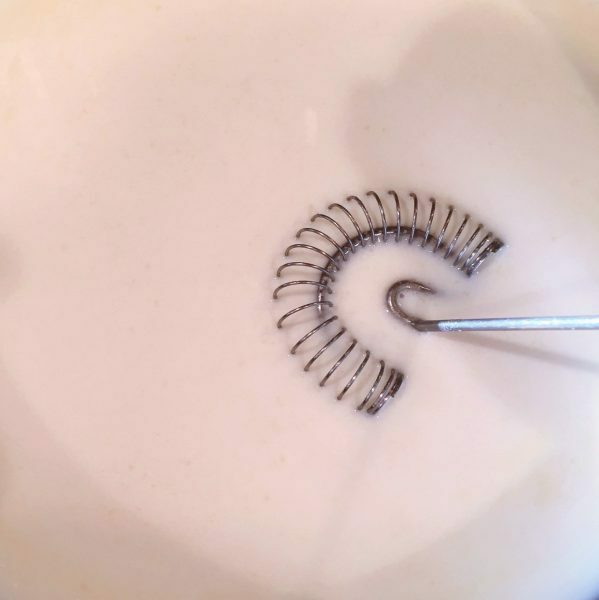 Whisk in 1/4 cup of all-purpose flour. 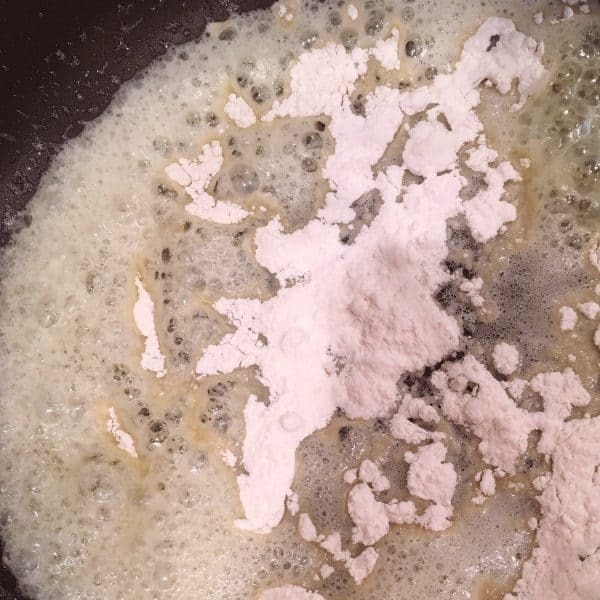 While stirring with a whisk, add in 2 cups of milk and 1 cup of chicken broth. Add in salt, pepper, sage, and thyme. Stir continually until mixture thickens and comes to a low boil. Add in 2 cups turkey or chicken. Stir and allow to simmer until biscuits are ready. If mixture becomes too thick add additional chicken broth until desired consistency is reached. 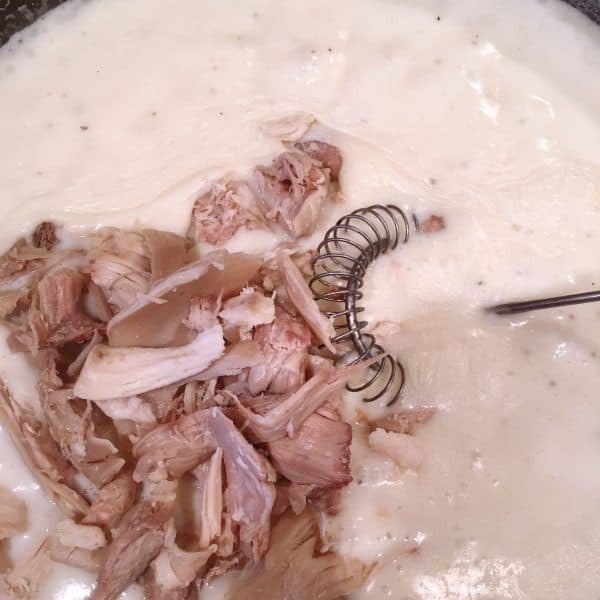 Divide biscuit in half and spoon creamed turkey over tops. Serve immediately. 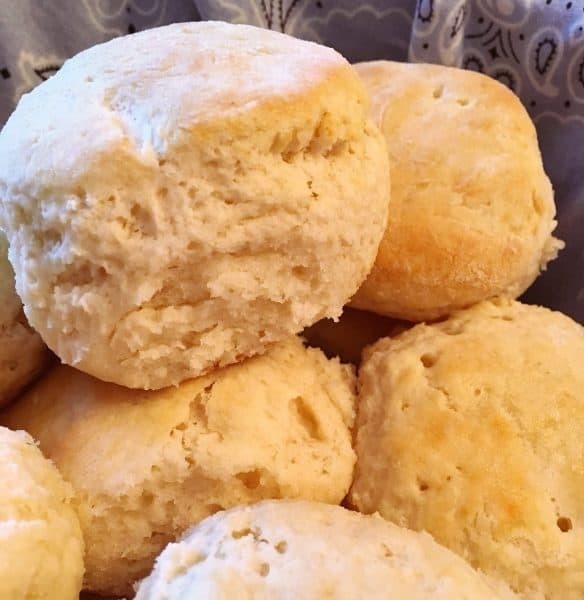 Additional cook time is only needed if making homemade biscuits. Haven’t we all had blunders in the kitchen! I know I’ve had too many to count. lol Love the name of your blog. This is a fun dish to use on a good biscuit recipe. I hope you enjoy it. Thanks for stopping by! I sincerely appreciate it. This looks amazing friend. I love a delicious comfort meal like this one. Thanks so much for stopping by my sweet friend. You are truly the BEST! Thanks for your help with this one. Thanks so much for sending me this feedback! I’m never sure if I’m making a good choice or not so I sincerely love hearing back from my friends. 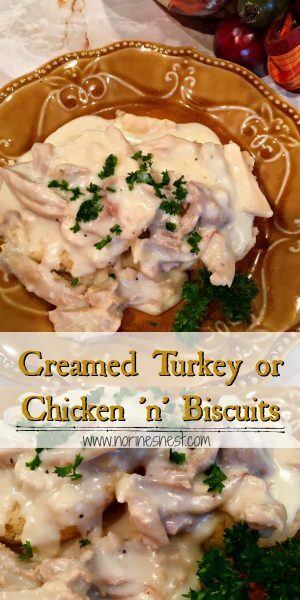 I love this creamed turkey and biscuits. It’s truly one of my favorite comfort dishes. 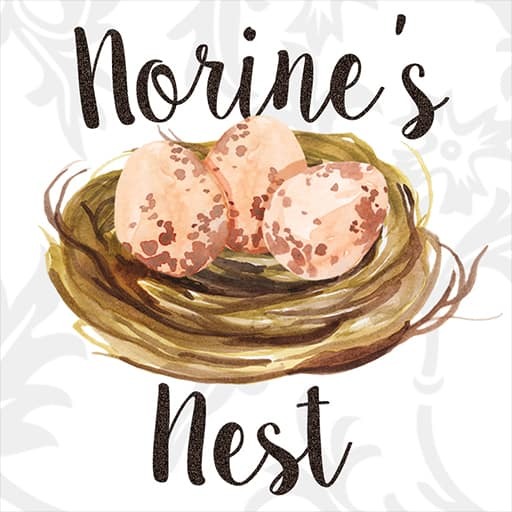 Hope you enjoy it too and thanks again for stopping by my Nest.